Out of the different stages of a job interview, the first stage is very important where you submit your resume and the employer put his attention on your skills and qualification for the first time. If you become successful in creating a great impression on your employer in this very first stage then the rest of the interview process will become a lot easier. So, how can you showcase your career goals and skills to the employer so that you can secure your dream job without any problem? If you really want to secure your dream job in the first place then you must work on your resume. We are one of the best resumewriting services in Adelaide and we provide advanced packages for creating professional resumes. The professional resume writers will help you to make your resume stand out. So, if you are willing to get your dream job without any problem then the resume is a very important part and you can’t avoid it anyway. Thus, let see the major advantages of choosing a professional resume writing service package. How Professional Resume writing Services help you to secure your Dream Job? · First of all, the professional resume writers never use the templates that are already used by the thousands of other job applicants. They use their own knowledge and expertise to create a completely unique resume. These type templates are generally found over the internet and most of the job applicants use these templates. But one thing you need to remember that these templates will only help you to create very ordinary resumes. Unlike, professional CVwriting services, they can never help to create a standout resume. · Secondly, professional resume writing services help to create the resumes for different types of job searchers. Like if you see, we provide packages for job searchers with different levels of experiences. It is because job searchers with different levels of experiences need unique ways to showcase their skills and expertise. And this is the reason why we have created different packages for different experience groups. · Thirdly, our professional resume writers not only create resumes but also create cover letter, LinkedIn profile, etc which can make your job search process much easier. They will create a resume that is optimized for all the required keywords. · Another important thing is the revisions. We provide unlimited revisions for 60 days and this is what makes us different from the other resume writing services in Adelaide. If you use the premade resume templates, you will never get such services anyway. 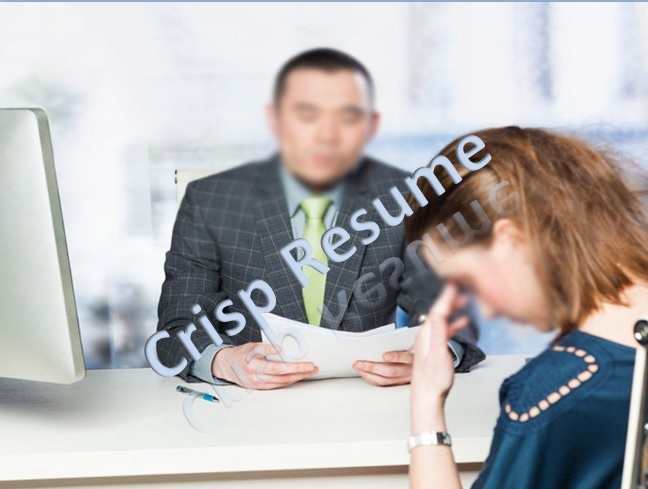 With Crisp Resume, we always treat our clients as our family members and that is why we unlimited revisions for two months and 60 days interview guarantee. We have professional Australian resume writers. We provide different packages i.e. 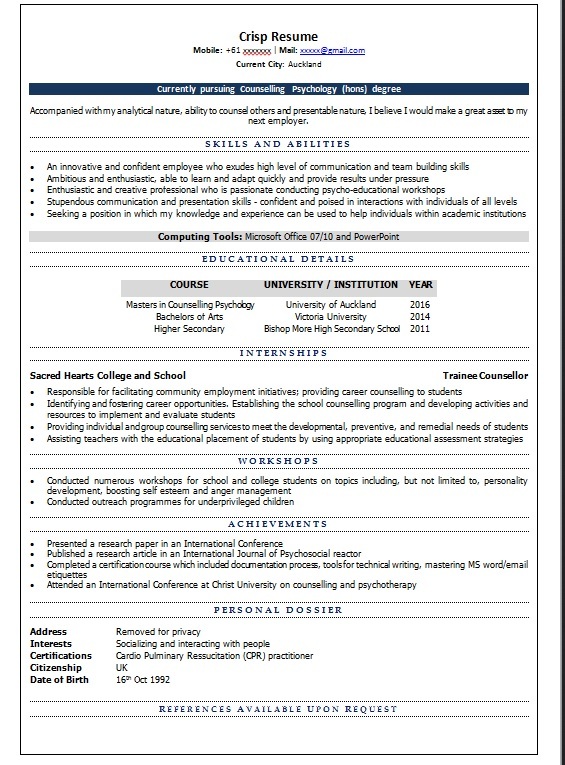 early career resume, next step resume, advanced resume, infographic resume, etc. Our resume writing service is also very affordable. 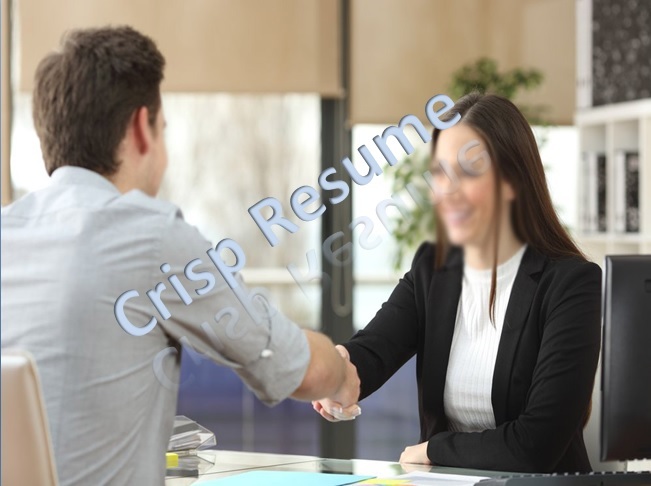 Our process of resume creation is very easy and we also conduct a telephonic interview to know more about the career goals and skills of our clients. You can contact us directly if you need any more information about the services or order process. We also provide 100% satisfaction guarantee.